Abu Dhabi healthcare firm Al Noor Hospitals priced its London initial public offering at 5.75 pounds per share on Friday, valuing the company at 672 million pounds ($1.04 billion). That was in the lower half of its original price range of 5.25 to 7.25 pounds per share. Earlier this week the company narrowed the range to 5.75 to 6.25 pounds per share, a person familiar with the matter said. 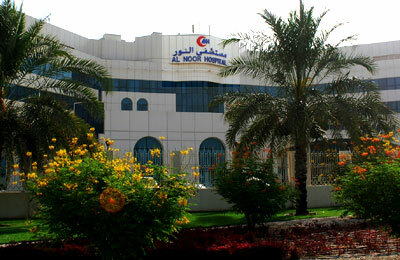 Al Noor, the largest private healthcare provider in the oil-rich emirate, said it had raised 97 million pounds from the sale of new shares in the offering to finance future growth. The remaining 124 million pounds raised from the sale of 32.9 percent of the company will go to its selling shareholders, affiliates of Ithmar Capital and founders Sheikh Mohammed bin Butti Al Hamed and Chief Executive Officer Kassem Alom. Healthcare businesses in the Gulf region are expected to boom in coming years as wealth rises in tandem with an increase in so-called lifestyle diseases. Five of the six Gulf nations are in the global top 10 for prevalence of diabetes, according to the International Diabetes Federation. Al Noor is the second UAE healthcare company to launch an IPO and list on the LSE. In 2012, NMC Healthcare Plc raised 117 million pounds through a London share sale.